One of the greatest inventions in the Star Trek universe is the universal translator. It allows different species to communicate through instantaneous translation. It is a little problematic when the series randomly decides to have people speak a specific language without translating it for the audience (Picard loves to speak Klingon from time to time), but overall it solves the problem as to why everyone is speaking English. In the real world, where even speaking the same language doesn’t allow for communication, it’s a breath of fresh air to see characters trying to understand each other. What happens though if and when we actually run into a different species? How would we communicate with them? This is one of the central questions posed by Andrei Tarkosvky in 1972’s Solaris. I’m going to warn you right off the bat, this is not a typical sci-fi film. It’s a philosophical musing on communication, relationships, and our place in the universe. If you think Kubrick’s 2001 is slow paced and boring, run away right now. However, if you like the conversations that come out of watching Kubrick’s epic due to the themes and gorgeous imagery, there is a lot to like and discuss in Solaris. Tarkovsky enjoyed the original 1961 novel by Stanislaw Lem and wanted to create a Russian answer to Kubrick. 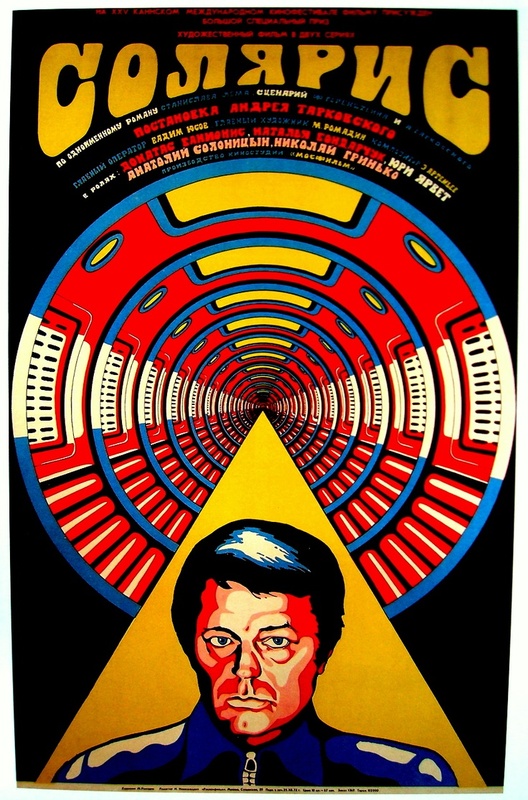 With state approval, Tarkovsky received his budget and started filming. Solaris follows psychologist Kris Kelvin as he takes on a mission to leave Earth and travel to a distant space station orbiting the planet Solaris. His task is to determine whether the scientists on the station should be allowed to continue their research on the water planet below, as their transmissions to Earth have become more and more disjointed. Kelvin arrives at the station and finds that of the three scientists he was meant to meet, one has committed suicide and the other two have become very reclusive. This is because they keep receiving strange visitors. Pulled straight out of their thoughts, these visitors manifest physically, and each person deals with them differently. Kelvin falls into this as well, and his strange visitor ends up being his ex-wife, Hari, who committed suicide 10 years earlier. The rest of the film’s plot shows how Kelvin and the scientists address these visitors and try to figure out the reason behind them. Donatas Banionis as Kris Kelvin and Natalya Bondarchuk as Hari examine themselves. Hari initially needs to be in close proximity to him, but she slowly develops autonomy, allowing her to grow and become different from her original source. We are led to believe that these visitors are brought to life through memory and random thoughts. Some things in the film don’t completely line up, though. When Kelvin first arrives at the station, he sees a woman in blue that should not be on the ship. We find out that she was a figment from his dead friend’s past. So if his friend is dead, how is she still there? Has she achieved her own autonomy? We briefly see her when Kelvin arrives but then never again. What has happened to her? Besides Hari, only one other visitor is actually seen, and they are kept behind closed doors so they are left to the imagination. What portions of the subconscious have created them? I know I wouldn’t want my subconscious to create anything corporeal. With Hari being pulled from Kelvin’s mind, she suffers from his faulty memories of her, and the film does a wonderful job to see her experience these things as she finds out what happened to the original Hari. She tries to succumb to the same desires that she originally did, but whatever created her won’t let her. The scientists hypothesize that Solaris has created these visitors to try and communicate with them. Since it seems to be a sentient planet, the discussion around this is incredibly interesting and doesn’t hold back from ramifications of trying to affect something that can’t comprehend the way we do (and vice versa). Anatoly Solonitsyn as Dr. Sartorius ponders what to do. Tarkovsky flips from black and white film to color. Sometimes this seems deliberate, other times it seems to be a cost-saving practice. However, when it works, it works. The black and white tends to lean towards memories and history, with color bringing us back to the supposed reality. Tarkovsky also does a great job establishing shots and showing exactly what he wants to show. This also doesn’t hurt with his budget; it allows him to leave big expensive spaceships outside our purview and just focus on hallways, leaving the assumption that we are in space. Framing his shots with humans in them as much as possible until the end of the film where we are left with empty corridors. There is one segment towards the beginning of the film, before Kelvin leaves Earth, that focuses on cars driving. This lasts about five minutes, and on my first viewing I was frustrated that he spent so much time showing cars on freeways. On subsequent viewings this segment makes more sense. Kelvin and a former space pilot have been talking about communication, and the pilot initially leaves their discussion angrily and drives away. He then calls Kelvin when he is in his car, apologizes, and gives him some additional information that could be helpful. We are then shown the shots of driving cars, leading me to believe that all these people in their cars are on their way to places where they will hopefully be communicating with others. Where at first I thought the segment was too long, I now enjoy it, envisioning all the different conversations taking place with all these other unseen people. Hari and Kelvin try to reconcile. It should also be noted that in 2002, Steven Soderbergh released an American version of the film starring George Clooney and Natasha McElhone. It condenses quite a bit of the discussion inherent in the original and focuses a little more on special effects. It does a surprisingly good job with a number of the themes, however American audiences weren’t in the mood for George Clooney in a philosophical space opera, and the film was largely ignored. If you think the original—which runs at 2 hours and 46 minutes—is a bit daunting, this 98-minute, English-language version might be a little more accessible. 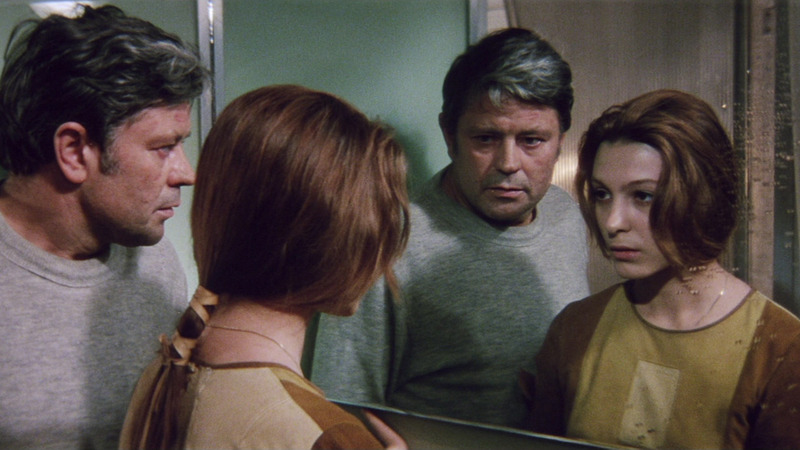 The original Solaris is an incredibly hard film to pin down. There’s a sense of loss and sadness permeating the whole film. Whether that’s Tarkovsky (his films can be a little depressing) or just Solaris ruminating on loss and miscommunication, it gives a lot to ponder if you’re in the mood for deep thought. I can’t recommend this film to everyone; it’s an arthouse science-fiction film (which is funny to call it arthouse since it had a decent-sized run in Russia when it was first released), with a lot on its mind, but you’ll get out of it what you put in, and in my mind, that’s a good thing.